An individual farmer will now be able to sell 25 quintals of agricultural produce per day and get relief from all taxes. This is in accordance with the new guidelines of the central govt. procurement plan for agriculture commodities. 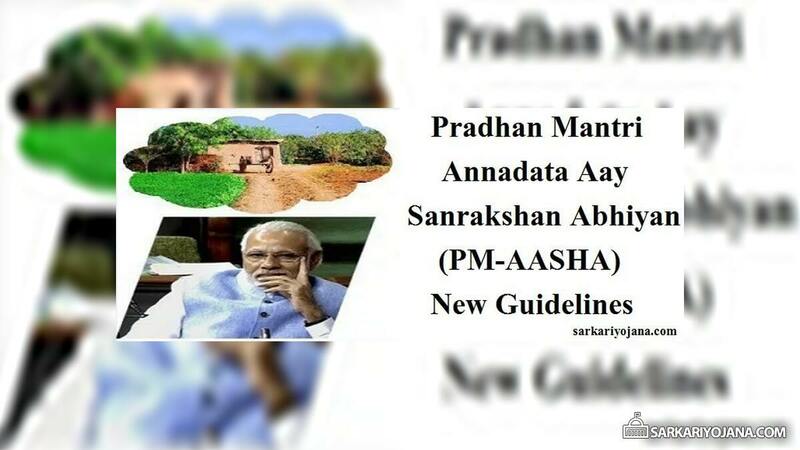 States which procure crops other than wheat and rice through Pradhan Mantri Annadata Aay Sanrakshan Abhiyan (PM-AASHA) need to follow the new guidelines. The maximum limit of 50 bags of 50 Kg each (25 quintals) per day has been introduced in order to ensure that a few big farmers does not takes away the entire scheme benefits. This move is going to provide relief to the farmers at a time when the prices of major kharif crops have fallen below their state mandated minimum support prices (MSP) for 2018-19. Madhya Pradesh, Rajasthan and Chhattisgarh have already announced their mega procurement plans and Haryana govt. has also started procurement. As per the guidelines, 2 components of PM-AASHA which includes price support scheme and price deficiency payment are modeled on the lines of MP Bhavantar Bhugtan Yojana. On a pilot basis, the total expenditure of central government would be limited to 25% of total oilseeds, pulses or coarse cereals production of the state. In case the state govt. wants more crops to be procured, then govt. can do it so from their own resources. In the MP Bhavantar Yojana, farmers get a differential amount between the MSP and a pre-fixed rate, guidelines stated that such a payout must not exceed 25% of MSP of crop. This implies that for soyabean crop, difference payment would not be more than Rs. 850 per quintal irrespective of price fall in 2018-19. Under the price support scheme, in case a state govt. wants the Center to procure pulses, oilseeds and coarse cereals over the compulsory limit of 25% then the state will have to bear the expenses. But in case the commodity is to be purchased for the public distribution system (PDS), then the support of central govt. could extend to 40% of production. Moreover, farmers needs to be given remuneration in a given time frame. Under price deficit payment scheme, farmers have to be paid within 1 month of the sale of their produce. Under the price support scheme, the remuneration amount must reach the farmers within 3 days of receipt of their produce. In the pilots under private procurement and stockiest scheme (PPSS), payment has to be made in a stipulated time duration. Delayed payment is one of the serious concern and complaint of the farmers. Central govt. support in case of deficit financing or direct procurement is limited to 25% of states production. States will have to bear any expenses over and above the mandated 25%. Farmers need to be paid within 3 days in case of direct procurement and 1 month for deficit financing. Central agencies like Nafed will be 100% reimbursed in case of loss in procurement and disposal. Since private participation has not gathered pace, so state govt. are keen on implementing either the price deficiency payment scheme or get central govt. help for their price support scheme. For pilot of private sector participation in procurement schemes which is to be conducted in 8 centres across the country, state govt. will ase stockholding norms for smoother operation. Moreover to prevent round tripping, private entities cannot sell their produce in the market within the procurement months. To carry forward the procurement operations, govt. has allocated Rs. 150 billion over the next 2 financial years and out of this amount, 62 billion would be spent in 2018-19.